This last weekend, after the monthly PortLUG meeting, I swung by the Lego Store to sate my need for even more new elements. 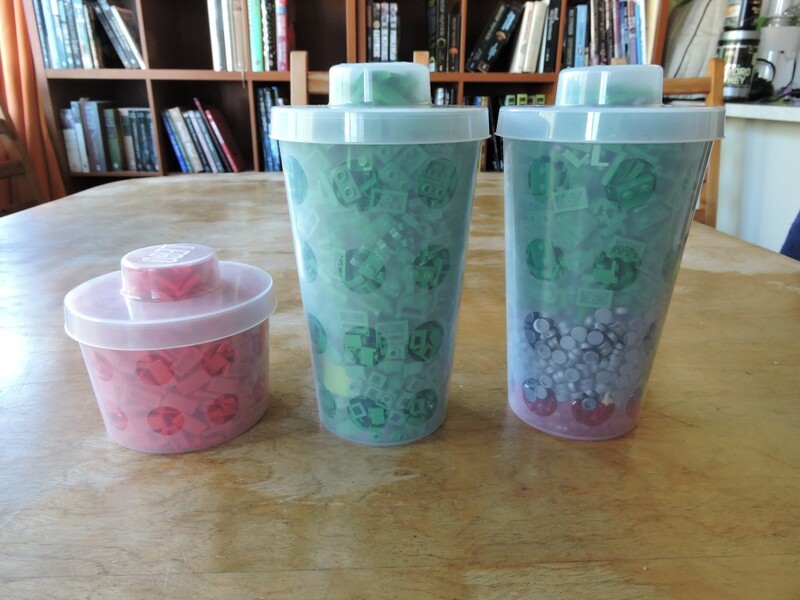 I went all in at the pick-a-brick wall and bought over $40 worth of cups so that I could get my free polybag (and all of those lovely elements)! 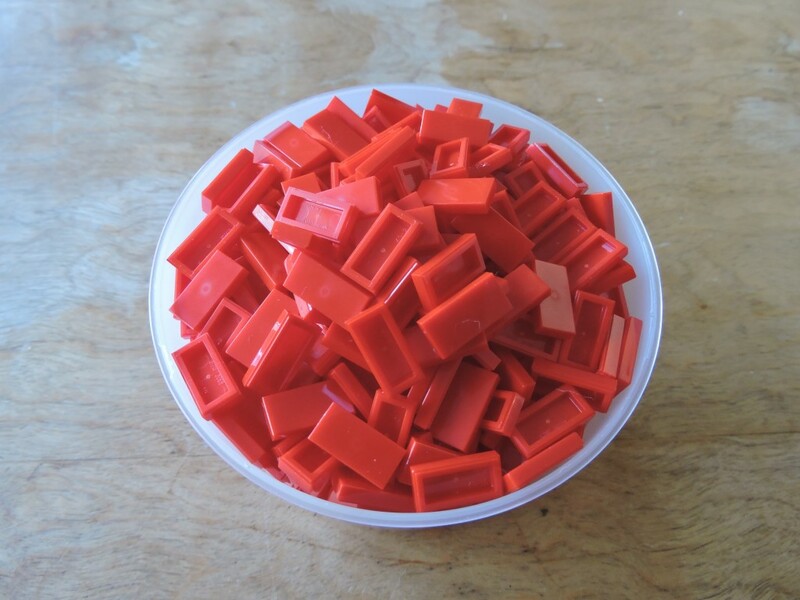 For my first cup, I filled a small pick-a-brick cup with 1×2 red tiles. I can’t say that I have any plans for these guys, but I love tiles and I’m always glad to stock up on them. 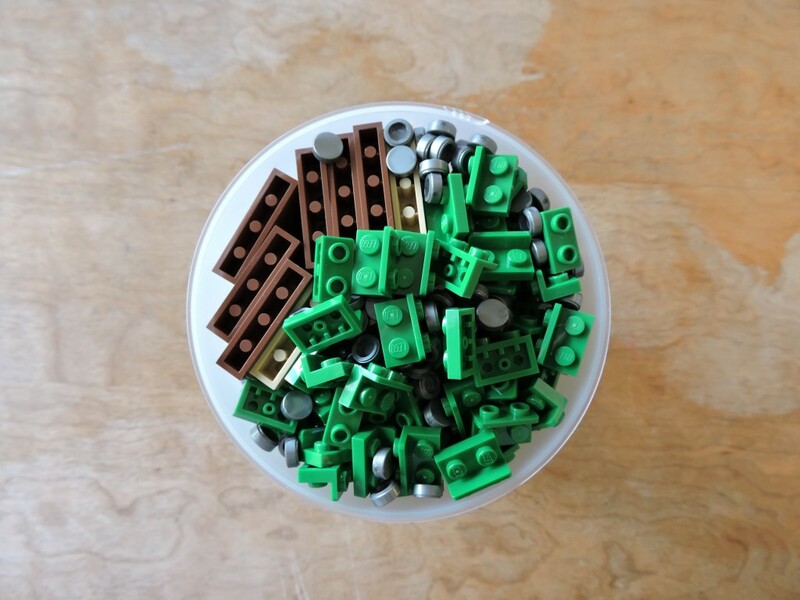 I fit 812 into the cup, getting the price per piece down to about 1.1¢.Based on the current average Bricklink price, that is $48.72 worth of tiles for $8.99. Nice. I went heterogeneous for my large cups. 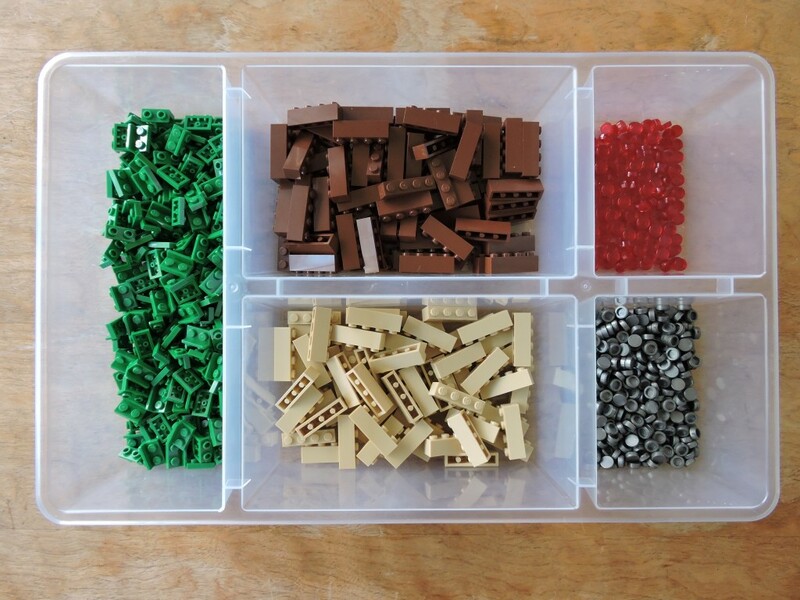 The first cup has stacks of 1×4 bricks in the center and handfuls of smaller elements packed around them. Cups like this only get impressive when they’ve been unpacked. I did pretty good on this one. 1078 elements for $15.99. 706 of those elements are 1×1 round tiles, but at 1.5¢ per piece, I can’t complain. 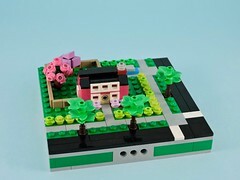 Again, the street value (based on Bricklink average prices) for all of this would have been $92.98. 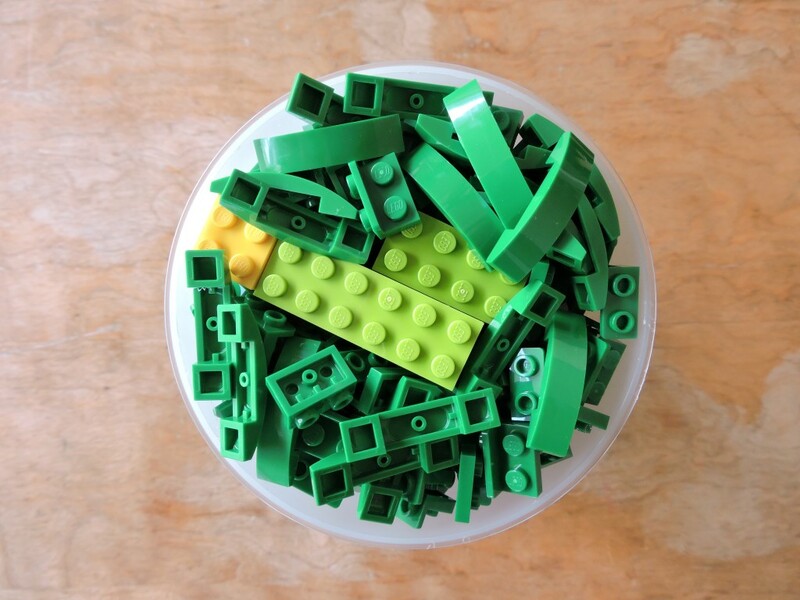 For my second large cup, I started with a core of stacked plates and used a variety of green elements to pack the rest of the volume. 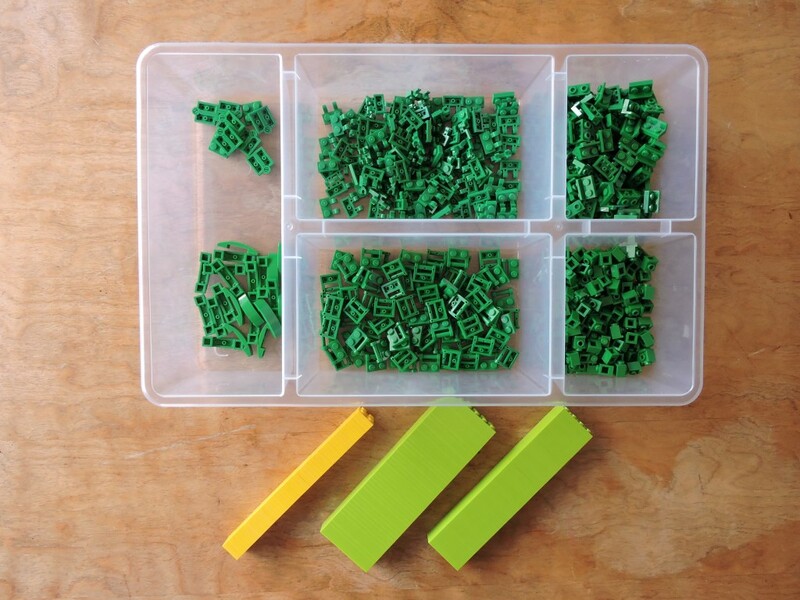 I’m not sure what I’ll use all that green for yet, but I’m thinking that it will be useful come Shiptember. A bit more variety here and a fewer pieces (667). Each of those stacks has 46 plates. It is a bit of work smashing them together like that, but it saves a lot of space. I only managed to get the price per piece down to 2.4¢, but compared to the $59.98 I could have spent buying them on Bricklink, I don’t feel bad about it. Not a bad haul. 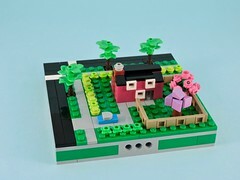 This should fuel a couple builds that I’ve been thinking about and inspire some more. There is something about a huge quantity of a single element that just sparks the creativity for me.